Prime Minister Narendra Modi tweeted in response that the Congress chief’s “most trusted advisor and guide” has “kick-started the Pakistan National Day celebrations’’ by “demeaning India’s armed forces”. In Kashmir, a 12-year-old boy who had been held hostage by militants was killed. Opposition parties finalised their seat-sharing formula in Bihar, and the Left parties were not included. How did TV channels cover these developments? What got the most attention? The channel had headlines like “Rahul’s aide insults Pulwama martyrs” and “Pak our neighbour, need for dialogue” which pinned the blame for Pitroda’s comments directly on the Congress president. The channel also ran an interview of Rajnath Singh with Kumar, about the acquittal of the Samjhauta blast case accused. The Union home minister, while distancing himself from prefixing a religion’s name to terror, said the courts have given the final verdict. In Left, Right and Centre, the channel discussed Pitroda and the Centre’s failure to curb terrorism. Bhaskar Ghosh of the BJP said the government has been going after terrorists aggressively. On which of these issues is resonating with voters, Gilles Verniers, a professor at Ashoka University, said large aggregate or national issues are not a substitute for daily life concerns such as joblessness, access to healthcare or education. The channel also had a headline, “Vadra Cong openly backs Pakistan” and another, “Jaish kills forces, Congress wants ‘facts’”. The channel had a story on “Pak terror exposed” as it ran clips of a 12-year-old boy’s family appealing to terrorists to release him. “Family cries for son’s release” a headline said. He then quickly shifted to how India has slipped to 140 rank from 133 in the World Happiness Index which evaluates the perceived happiness among people in 156 nations. “India is becoming a nation of unhappy people, staying happy is the master key of live,” he said and wondered “if our growing population is the cause of our growing unhappiness”. The channel ran a story on the Centre banning Yasin Malik’s Jammu and Kashmir Liberation Front. Headlines said, “37 FIRs against JKLF” and “Bharat ka khana, Pakistan ka gaana ban (Ban on eating Indian, praising Pakistan)” and “Yasin Malik par chal gaya chabuk (Yasin Malik lashed)”. Politicians were also shown reacting to the development. In its Chunav India Ka programme, the channel discussed the rumour around former Union minister Jitin Prasada planning to leave the Congress and join BJP. Congress spokesperson Alok Verma said though there was speculation, nothing concrete has emerged. He also refused to confirm that senior leaders Priyanka Gandhi and Jyotiraditya Scindia went to assuage Prasada. In its programme Master Stroke, the channel discussed the seat distribution among the opposition mahagathbandhan in Bihar. It referred to the coming together and sharing of seats by five alliance partners, with the Rashtriya Janata Dal getting 19 of the 40 seats, Congress nine, Rashtriya Lok Samata Party five, and former chief minister Jitan Ram Manjhi’s Hindustani Awam Morcha (Secular) and Vikasshil Insaan Party three each. The channel also said that Sharad Yadav, who broke away from Janata Dal (United) and floated his own Loktantrik Janata Dal, would contest on the RJD symbol. However, the channel questioned why no senior leader was present during the announcement. 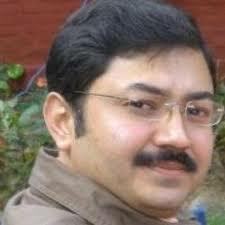 In the absence of RJD leader Tejashwi Yadav the proceedings were conducted by party spokesperson Manoj Jha.